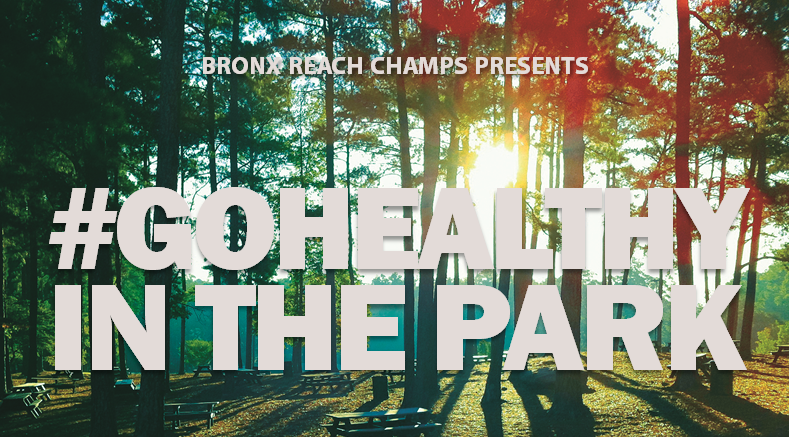 Bronx REACH Champs (BRC) invites you to #GoHealthy in the Park this summer on Saturdays from 10:00 AM to 12:30 PM. REACH stands for Racial and Ethnic Approaches to Community Health. In an effort to address health disparities of Bronx residents, BRC is inviting the community to engage in physical exercise and meditation classes on July 30 in Devoe Park, led by Qigong meditation specialist Kathryn Davis and physical fitness trainer N'Namdi Nelson. The meet-up point is the entrance to the park (the corner of West Fordham Road and University Avenue). The Qigong meditation class begins at 10:00 AM. The physical fitness class begins at 11:30 AM. Train: # 5 train to Eastchester-Dyre Avenue. Walk ½ mile to the park. Location: Northern boundary of Bronx Park to the Bronx County line,Bronx, NY 10468. Train: D Train to 205 Street-Norwood Ave. Walk 1 mile to park, near Woodlawn Cemetery. OR #2 Train to Gunhill Road. Walk 0.7 mile to park. By Train: # 4 train to Fordham Road/Jerome Avenue. Walk ½ mile east to the park. D Train to Fordham Road/Grand Concourse. REACH stands for Racial and Ethnic Approach to Community Health. Find out more about the Bronx REACH CHAMPS Coalition at bronxreachchamps.org. Wear loose clothing, comfortable shoes, Bring a large towel or exercise mat. Bring your own water. For further information on exact locations in each park, contact Roger Newcomb, at rdnewcomb@bchnhealth.org.